Leakproof, all welded sump with galvanized steel grate flooring. 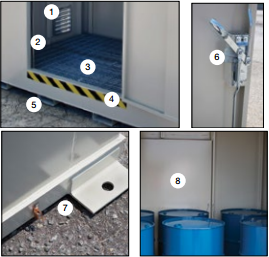 42-in (1.07-m) wide steel door system with 3-point lock. Chemical and UV resistant coating, inside and out. 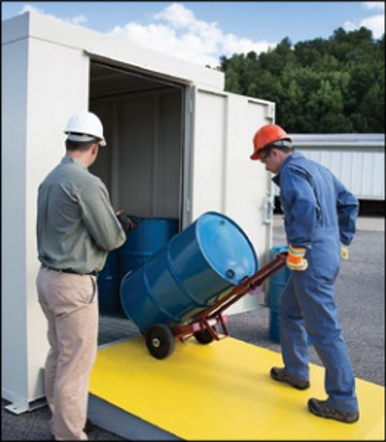 storing hazardous materials in rugged, FM-approved Outdoor Safety Lockers. regulations, including proper setback requirements.